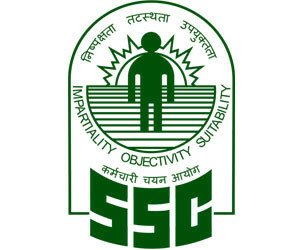 SSC CPO Syllabus 2018 - Staff Selection Commission has issued the SSC CPO SI CAPF and Asst Sub Inspector CISF Paper 1st and Paper 2nd pattern on its official website www.ssc.nic.in. All the candidates need to gather the program for the exam before starting the preparation as it will discuss all the critical topics in the exam. Staff Selection Commission (SSC) has recently announced about the opportunity available for 1223 posts of Sub-Inspectors, CAPFs and Assistant Sub-Inspector. A large number of suitable candidates filled the online application for the post till 02.04.2018. The candidates needed to select in the paper1 exam to go to paper 2. The Staff Selection Commission organized a recruitment exam to fill Sub-Inspectors in Delhi Police, CAPFs and Assistant Sub-Inspector in CISF. There will be two of papers in the written test both papers are objective multiple choice type questions. The candidates are advised to download the syllabus from the website to know about the exam. The syllabus is mandatory to prepare for the exam. Visit the official website of the university that is www.ssc.nic.in.